IN WHAT whale experts are calling a spectacularly rare sight, three different species of whale were spotted in waters off Hervey Bay. The Blue Dolphin owner and operator Peter Lynch has been in the industry for more than 20 years and said it was the first time he had seen minke whales, humpbacks and southern right whales all in one day. The whale watching guide said visitors were treated to a truly unique event. 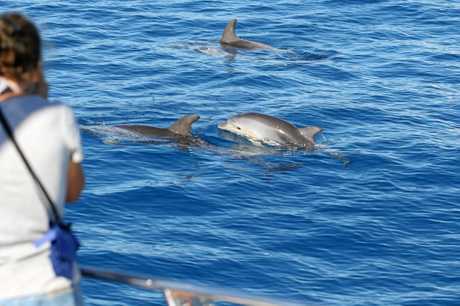 "There was a large pod of 30 to 50 dolphins playing with humpback whales too," he said. "It was really cool to see so much marine life all interacting and playing in the space of a football field or two." Australian Whale Conservation Society President Paul Hodda was on-board for the rare whale trifecta. Mr Hodda has been studying whales since the 1970s before the whale watching industry even existed. He said the sighting of all species together was also a first for him. The conservationist said the sighting of the southern right whale and her calf was reassuring to the species' population numbers. "To see them anywhere is really reassuring," he said. "Last year we didn't see any in Hervey Bay. 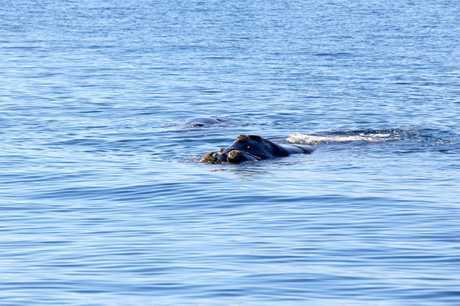 To have at least two southern right whale mothers and calves in the bay this year is great. "They might start using here has a birthing place for their young." Mr Hodda explained the significance of seeing the three species side-by-side was so rare due to different migration patterns and locations. "You only ever expect to see one or two species a day," he said. "They don't travel the same way." 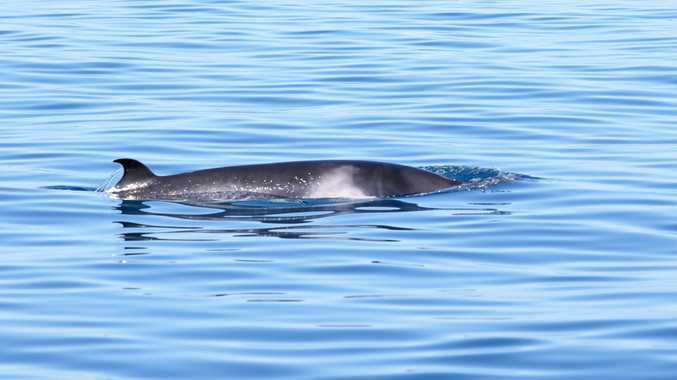 "The minke whales don't go further south than here and Hervey Bay is the most northern place southern right whales have ever been seen." He also reminded boaties to keep their distance. "When a southern right whale turns up, more often than not, it is a female, and it either has a calf or it is about to give birth." "Southern right whales are very endangered and it is important to have all the calves survive."